It’s an honest question, and possibly gets to the root of why I tend to bounce off survival game after a short while. My gaming habits see me flit between games easily, and while something like The Witcher 3 clearly sign-posts how to make different potions and when best to use them, games in the survival genre tend not to do so. Or, they mention a useful bit of information at the beginning of the game, which, unless you keep on playing and learning the in-game systems, you can easily forget. You see, Smoke and Sacrifice requires a lot of crafting to keep yourself equipped and ready to face the challenges ahead. Or even, just to be able to walk across the different areas of this world (ice, electric and radiation). But the recipes aren’t all available from the start, and you can’t mix and match different items in a cookpot or workbench; you need to know the recipe. Some recipes are revealed as you progress through the story, others can be taken as rubbings from giant stones in the ice lands. Most recipe sources though come from faded parchments. At some point in the early moments of the game, I am sure I was told that a jar of Sourfruit Juice allows you to read and unlock these recipes. But, due to my nature of jumping between games, or spending a week watching The Handmaid’s Tale, I forgot all about this trick. And lo, it’s not until I’m making great strides through the story, struggling to find suitable equipment, that I craft some magical juice….and uncover a recipe from a parchment. And now I know what to do with all the moss I’ve been gathering. Enough of that for now, for you want to know about Smoke and Sacrifice, not just laugh at my foolishness. You are Sachi, a villager in a strange world where firstborn sons are sacrificed to the Sun Tree; a mysterious device which provides life to her small patch of liveable land. Sachi sadly has to sacrifice her son at the start of the game, from there you jump forward several years to find the village under attack. Sachi heads to the temple where she offered up her son, then gets transported into an underworld with one aim, find her son. It’s a simple goal for Sachi to follow; but the underworld isn’t a welcome place. Inhabited by Drear, mysterious semi-humanoids who are enslaved by the temple priests, you soon find yourself unravelling the mystery of who the Drear are and helping them to rebel against their masters. The Drear aren’t alone in this world populated by a variety of creatures, all of which have their own social hierarchies and potential breeding patterns. Take the humble polyp, it’s one of the first creatures you encounter. Running away or attacking them are your first options, but as the game develops, you will be able to tame them with a polyp hat, or have them follow you into battle with a bit of food as an incentive. If lending your hand to the creation of new species is one of your life goals, simply catch a polyp from one of the environments, take it elsewhere, and watch it create a new hybrid with the local polyp varieties. It’s like playing god! The way the world works is enthralling, and the tale that you uncover as Sachi journeys to find her son has me interested in finding out more. It’s just a shame that some of the survival elements seem to dominate the game, leaving some of the essential sign-posting that you (or at least, I) want on this adventure, lacking. Yes, your map will occasionally be updated to point you in the vague direction of your next objective, but you won’t always be given the tools, or advice, on how to get there, or complete your objective. When you are given the knowledge you need, the game falls into place. 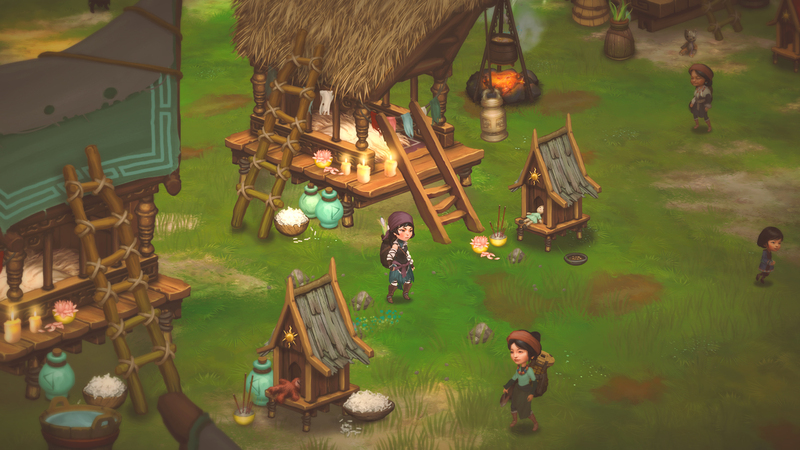 Several objectives in the early stages of Sachi’s quest are to make crafting stations usable. For the first one, you are told that a wasps nest might be causing mischief and given a bomb to help you deal with them. Later, you find some pressure valves that need to be oiled to be turned. Fortunately, your mission giver has previously given you a recipe for making a hammer. 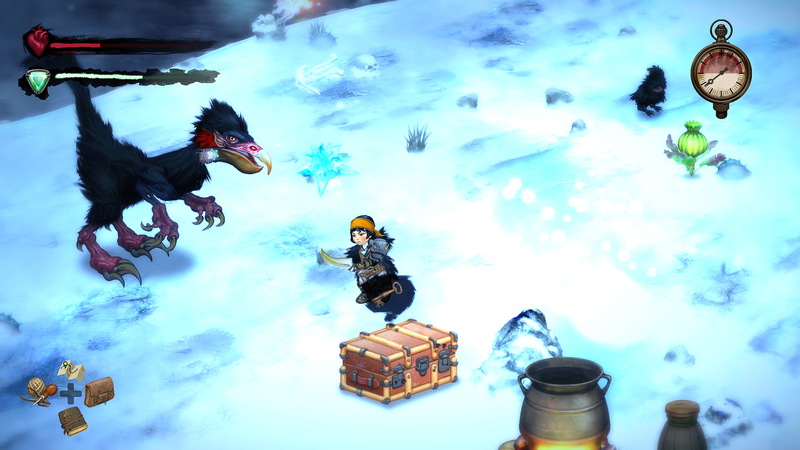 Take your hammer to the frozen wastelands, bash some rocks, and oil is yours. The way forward isn’t always handed to you on a plate, but you are pointed in the right direction. But sadly, you aren’t always given that direction. I know I need some fancy footwear to cross the radiation zones, but I’m not entirely sure where to find the necessary ingredients; the same struggle occurs with a different crafting station. Even if those giving you these missions don’t provide the required hints, I would at least hope one of the many Drear that populate this world would drop a meaningful bit of advice. Smoke and Sacrifice is a game that I really believe deserves to be played, and maybe those with a greater aptitude for survival games will thrive in its world. It is a world I dearly want to explore some more, but I feel that I am all too often wandering around, waiting for inspiration to strike on what to do next. 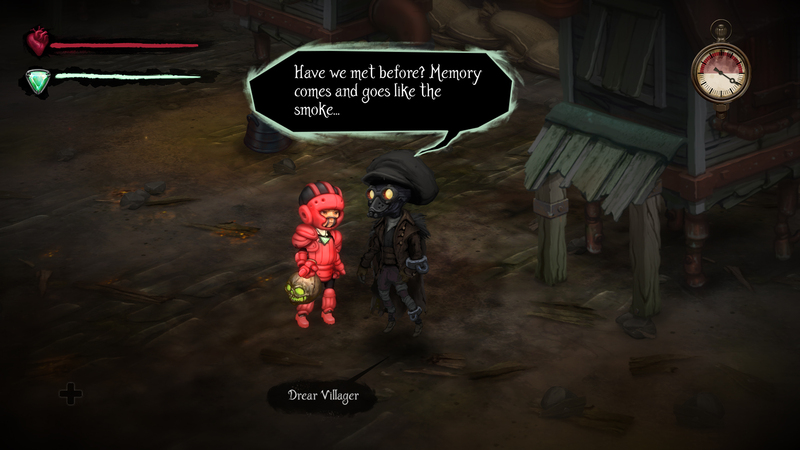 That’s great with something like Don’t Starve (from publisher, Curve Digital’s library), but with Smoke and Sacrifice, a narrative driven game…I want things to be a bit less…smoky. Review based on code supplied by PR. For more on our scoring policy, please head here.